It seriously sounds amazing, and the cover is stunning. You MUST do so now. It’s been three months since the death of Morgan’s boyfriend, Flynn. She is hoping to finally get some closure of his passing by uploading a picture and a final goodbye to him on the popular website Friendshare. 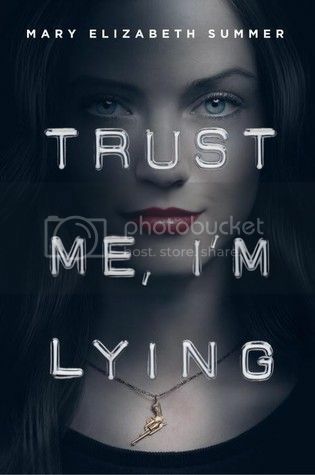 But when the facial recognition software on the site suggests that she ‘tag’ him as Evan Murphy, a boy who lives in the neighboring town who looks just like Flynn and is definitely alive, Morgan begins to question if anything she knew about her boyfriend was true. Morgan was such a great character; so funny and very likeable. Oh, and she loves photography, which made me love her even more. 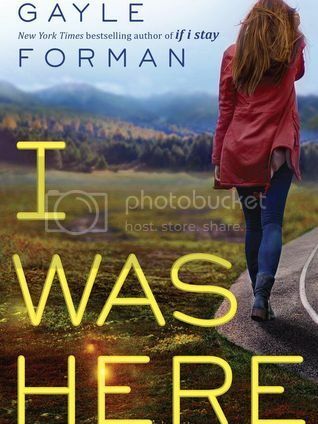 She was also determined to figure out what exactly was going on it her little town and what had happened to her boyfriend, especially after she meets Evan, who looks almost exactly like Flynn. I admired that determination in her. The relationship that forms between Evan and Morgan was super cute as well. There were some pretty awesome secondary characters in the novel also, especially Morgan’s best friend Toni. Seriously, these two girls are the bestest best friends ever, and I adore their relationship. I really loved the cryptic storyline for the novel. It definitely kept me guessing as I turned the pages, and just when I thought I had figured everything out, Harrington threw in a plot twist and totally threw me off again. I had my suspicions quite a few times on who the ‘bad guy’ was, but I was totally wrong! At only 288 pages, this book makes for a really quick read. But it wasn’t just the page count that caused me to read the book so quickly, it was the fact that I just couldn’t put the book down! I needed to know what was going to happen! Overall; I’ve been a fan of Harrington’s for a while now, and this newest addition to her growing book collection definitely does not disappoint! Both the characters and the storyline make this book a really great read. Check it out sometime! A huge thank you to Penguin and their ‘First to Read’ program for allowing me to read and review this novel! 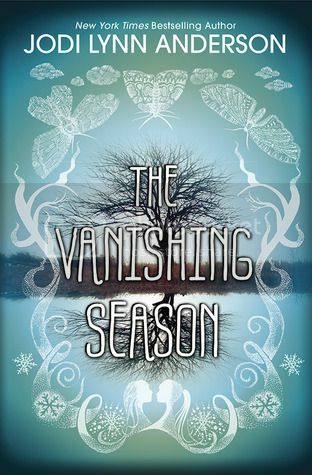 I was super excited to finally start The Vanishing Season by Jodi Lynn Anderson, as I have heard SO many great things about the author. I’ve had Anderson’s ‘Tiger Lily’ on my to-read list for a while now as well, and I’m super excited to start it now, hopefully soon. Maggie is a good girl, one that will do anything to keep her parents happy. Even moving to the small town of Gill Creek after her mom lost her job. She never complains, even though the move is clearly something that she doesn’t want to do, but she understands the amount of stress that her parents are under, so she goes along with whatever they decide to make them happy. I both admired her for her this, and found it insanely frustrating at times. Especially when people took advantage of her, that really made me want to shake some sense into her. I can’t say that I really cared for many of the secondary characters in this book. I never quite took a liking Liam and Pauline, teens that Maggie met in her new town. I knew something was up with these two from the very beginning. I especially didn’t buy the relationship between Liam and Maggie. Poor Maggie may have been into it, but Liam’s heart was elsewhere. Maggie did have some pretty great parents, however. I was also intrigued by the ‘ghost’ who narrated some parts of the story. I really enjoyed the mystery feel to the book, it really kept me guessing. The ending was a big surprise that I didn’t really see coming. I expected something completely different to happen, but I was definitely wrong on my guessing. I can see how the ending of the book would upset some readers. It did make me a bit angry, but more for what happened with some of the secondary characters than with the main character. This type of ending is becoming increasingly popular in YA lately. I also really enjoyed the writing style for the book. It had a hauntingly beautiful quality to it, which I thought went really well with the storyline. The only issue that I really had with the book was that one of the side plots kind of left me hanging at the end of the book. While we really don’t get an answer on what happened, and that was a bit frustrating, I kind of liked the anonymity of that part of the story. Overall; I did enjoy reading this novel, and I’m looking forward to reading more by Anderson in the near future. 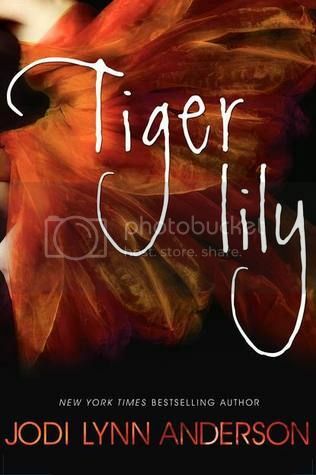 Tiger Lily is my book club read for next month, and I’m super excited to start it now. 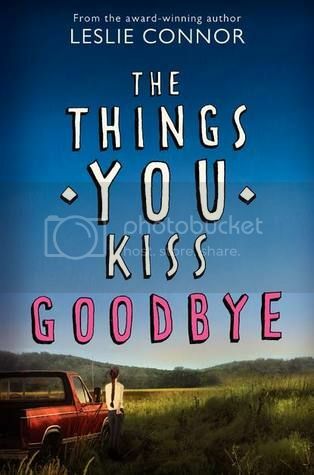 I’ve had The Things You Kiss Goodbye on my list of books to review for a while now. I have really mixed emotions now that I’ve finished the book. I both loved the novel, and found it insanely frustrating as well. 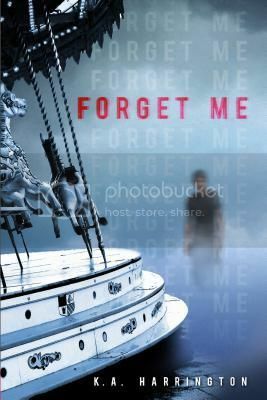 I went into the book rather blindly, even though I had read the synopsis, I was expecting a love story of sorts, but what I got instead was a story that was much darker instead. When basketball star Brady Cullen asks Bettina out, she can hardly believe her luck, especially since her super strict family seems to approve of him. So she jumps on the chance to get some time out of the house. But things start to change when the summer ends, and school begins, and with these changes, comes great turmoil. Bettina had the makings to be a really amazing character. She was Greek, artsy, and all kinds of awesome, but she’s also pretty much a pushover. Her father was overbearing and rarely ever even let her out of the house. So when she saw a little bit of rebellious freedom in her future when Brady asks her out, she jumped on it. Unfortunately, things didn’t work out well for her after Brady changed. I really wish that she had stuck up for herself earlier in the novel, both to Brady and her father. It really bothered me that she didn’t tell anyone close to her what was going on in her life. It’s never good for one to hold in so much information, especially if you are only doing it for reasons such as getting to spend time away from your family or getting out of the house. Yes, her father was insanely overbearing, and I can see why she would need a break from time to time, but she definitely went about it the wrong way. One thing I always stress to my daughters is to never, ever let someone hurt you, and to always go to someone for help if they do. Easier said than done, I know, especially when you are a teenager with raging hormones, and just want a little freedom in life. I just really with Bettina would have stepped up and at least talked to someone. People were there, willing to listen, but she never really even tried to talk to them, and that made me very sad for her. Brady, the ‘boyfriend’ in the novel, was a jerk. Flat out, jerk. Bettina stayed with him a heck of a lot longer than she ever should have. While we know from the blurb that he changes over the summer, it’s never really said as to why he changed. I can’t see how just ‘becoming popular’ could have turned him from such a sweet, shy guy into the cruel being that he had become. What’s worse is that he’s never really held accountable for the abuse that he caused. While I’m glad that Bettina had found a caring soul in “Cowboy”, someone that treated her kind and actually listened to her, I barely felt the connection between the two. Cowboy was someone that she should have been able to open up to, and while she did in a way, but she really didn’t. Also, I don’t see how they came so close over such a short amount of time that they were together to have warranted an ‘I Love You’ from each other. It never really seemed like they had gotten that close to me. Both of these characters had experienced abuse, and that totally could have bonded them, but it was rarely ever discussed between the two. These two characters, despite the major age difference, could have been really great friends until Bettina was of legal age. There were some really great secondary characters in the book that I really enjoyed. Two being Tony and Bonnie, who were friends from school whose relationships with Bettina grew over the course of the book, and who I found myself wishing that Bettina would talk to about what she was going through. Another was Tony’s grandmother, Regina, and I would have to say that this woman was really the highlight of the book for me. Such a caring, wonderful woman, even if she was insanely scary at times. I also loved the sweet relationship between Bettina and her younger brothers. As for her father, on the other hand, I didn’t care about him so much. He didn’t seem like much of a father to her, always seemed to be overlooking her while also being insanely controlling. Luckily he does redeem himself a bit in the end, but there for a while, I pretty much hated him. The storyline for the book was quite engrossing, and I found myself reading this book very quickly. There were quite a few parts in the novel, especially near the end, that made me ugly cry. That doesn’t happen a lot with books, but with this one, I just couldn’t hold it back. 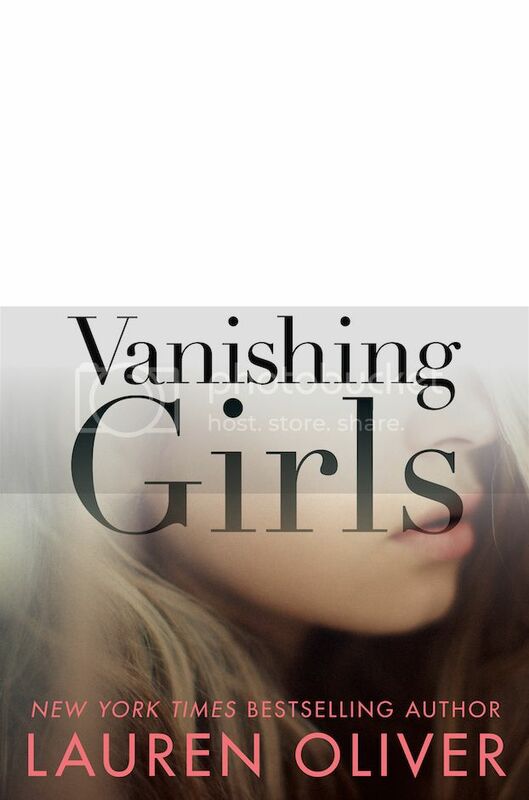 I think this book would make a great book to discuss as a group read, especially between teenage girls. It would definitely make for an interesting discussion for teens and parents as well. Overall; while you may thing after reading this review that I didn’t like the book, please know that I really did enjoy it. Some things were insanely frustrating, and some things I wish were different, but in the end, it really did make for a great read. I’m looking forward to reading more by this author in the future. Heist Society?? Inspired by Ocean's Eleven?? This sounds like it will be a really fun, mysterious book to read. How super excited was everyone to learn that Sinner was going to be an upcoming addition to The Wolves of Mercy Falls series?? I know I was pretty darn excited. I’ve been intrigued by Cole since we first met him, and I was super curious to know how his story was going to end. Fans of the trilogy will definitely not be disappointed by this novel. To be honest, I was a little anxious about starting Sinner, because Cole has been one hot mess from the beginning. I was afraid that I wouldn’t like the outcome of this book, and I seriously had my doubts when I first started reading it. But I was proved wrong, and by none other than Cole himself. Yes, he’s still cocky and conceited, and sometimes I worried about his sanity, but I would really expect nothing less from Cole. He came to L.A. ultimately to be with Isabel, and honestly, I don’t think there’s anyone else in the world that would be better for him. Isabel is such a strong character herself, and she doesn’t put up with anyone’s crap, including Cole’s. These two characters are insanely perfect for each other. It’s so hard to put my thoughts about them into words, but they just work so well together. And when I think back on the rest of the books in the series, they always have. 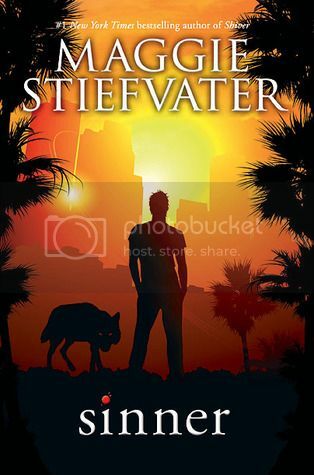 I really enjoyed the storyline for the book, and I’m super glad that Steifvater decided to write the story. I had always wondered what Cole and Isabel’s future would hold, and now that I know their story, I finally feel like I have closure with the couple. Since this book is a standalone companion novel, it can be enjoyed by people that have not yet read the The Wolves of Mercy Falls series, but I highly recommend that you read the series beforehand anyways, just to get the back-story and better understand these two characters. Overall; I thought this book was a great addition to The Wolves of Mercy Falls series. I really think that fans of the series will really enjoy reading this book. 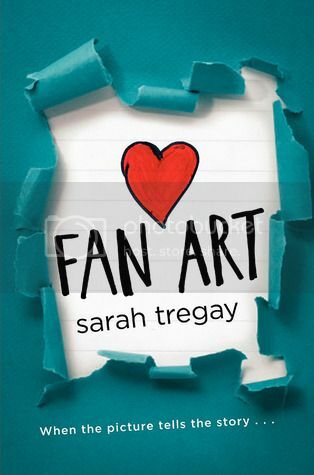 Fan Art is the story about high school senior Jamie Peterson, who has a big secret -- he has a huge crush on his best friend, Mason. It doesn’t really feel like a secret, however, because everyone in his school seems to know exactly how Jamie feels. Everyone expect for Mason, the one person that Jamie actually wants to know how he feels. With the school year almost over, and college quickly approaching, Jamie must decide if he’s willing to risk friendship for love. The main character, Jamie, was a somewhat frustrating character. While he was very smart and definitely artistic, he was also extremely obtuse. I wanted to shake some sense into him, and tell him to open his eyes and take a good look around him. The hints were there, he just didn’t see them, or chose not to and hid behind flimsy excuses so that he wouldn’t have to deal with it, (even though that is exactly what he wanted to do!) Mason, however, seemed to know exactly what he wanted, even though he was trying to let Jamie figure out everything for himself. I really enjoyed Mason’s character, although I do with he would have help Jamie more along the way. I’ve only read a handful of LGBT books, so I really don’t have much to compare to. I read this book as I would any other contemporary novel; it was a love story, plain and simple. 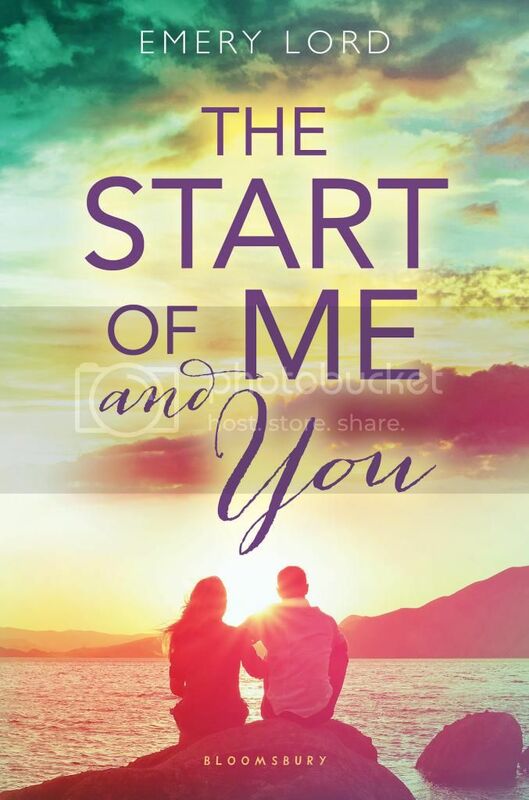 The storyline for the book is pretty much about Jamie’s struggle with wanting to come out to his best friend, but not knowing how to go about it, and at times, even being afraid to do so. Even though I’ve never been in the situation that Jamie was in, I was still able to relate with the way that he felt at times throughout the book, and because of that the storyline felt very realistic. One thing that I really loved about this book was the support that Jamie had from his parents. And not just from his parents, but from his friends and the kids at his school as well. In a world where there are so many haters, it’s nice to see some support out there. I also really feel like this book sends out a very positive message about just being yourself, and loving yourself no matter what. Overall; while I had my issues with the main character, I still enjoyed reading this book. A love story is a love story to me, despite whom the characters may be, and I can’t resist a good love story. and I have to admit... I'm curious! but my daughter has read her Matched series and loved it! I can't wait to check this book out. 1. Pride and Prejudice by Jane Austen - This is my most favorite classic read ever and also my most favorite book by Jane Austen. This is the book that made me fall in love with her, and I could just read it over and over again. Plus, Mr. Darcy. Enough said. I love the movie for the book as well! 3. Sense and Sensibility by Jane Austen - The last Austen novel on my list, I promise!! Sense and Sensibility is yet another of my favorite classic novels. 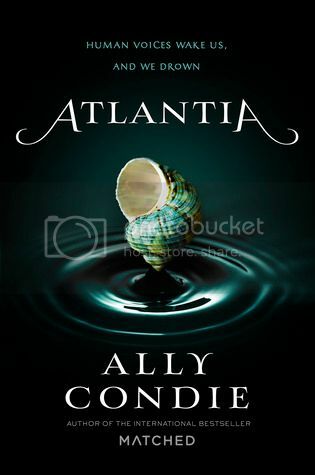 I love everything about this book, the characters, the setting... everything! 4. The Woman in White by Wilkie Collins - I read this book as part of a book club read a few years back, and I just really enjoyed the book SO much more than I expected to. It's super mysterious. Check it out sometime! 5. The Princess Bride by William Goldman - I really loved reading this book when I read it a few years ago. It's definitely one that I can see myself re-reading over and over again. I finally watched the movie recently and loved it too! 1. Little Women by Louisa May Alcott - I think I am the only person in the world that hasn't read this book yet! I've heard good things about it, and I'm super curious. I hope that I can read it soon! 2. Rebecca by Daphne du Maurier - This is one of my moms favorite books, and I've heard from others how much they loved it as well. Super excited to read this one in the future! 3. Jane Eyre by Charlotte Bronte - I actually tried to read this book a while back, but the timing wasn't good for me, and I couldn't get into the book. I'd love to try it again sometime. 4. Wuthering Heights by Emily Bronte - I've had this book on my to-read list for quite a while now, and I'm hoping that I can get to it soon. 5. The Bell Jar by Sylvia Plath - This is yet another book that has been on my to-read list for a while, as I hear about it EVERYWHERE and I'm super curious to finally read it and see what it's all about.